This is a ca. 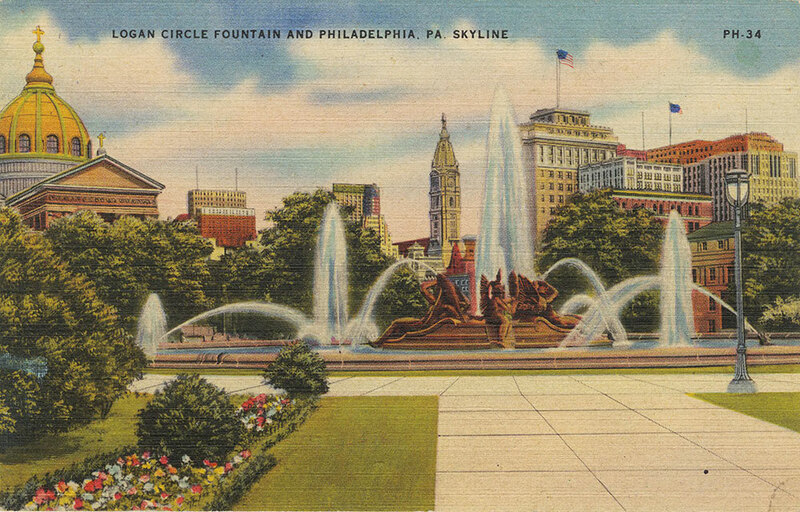 1940 postcard, with the caption, "Logan Circle Fountain and Philadelphia, PA, Skyline." This is a lovely artist's depiction of the the Swann Memorial Fountain, as well as the Cathedral Basilica of Saints Peter & Paul (left) and City Hall (center, beyond the fountain). On verso: Pub. by the Central News Company, Philadelphia, PA.; and A "Colourpicture" Publication, Cambridge, Mass., U.S.A.